I’m a guest blogger on the Dear Stella blog today! You really need to go check it out because I’ve written a tutorial on making some really cute labels to label your quilts with. Please visit their post HERE for the tutorials and a sweet give-away. 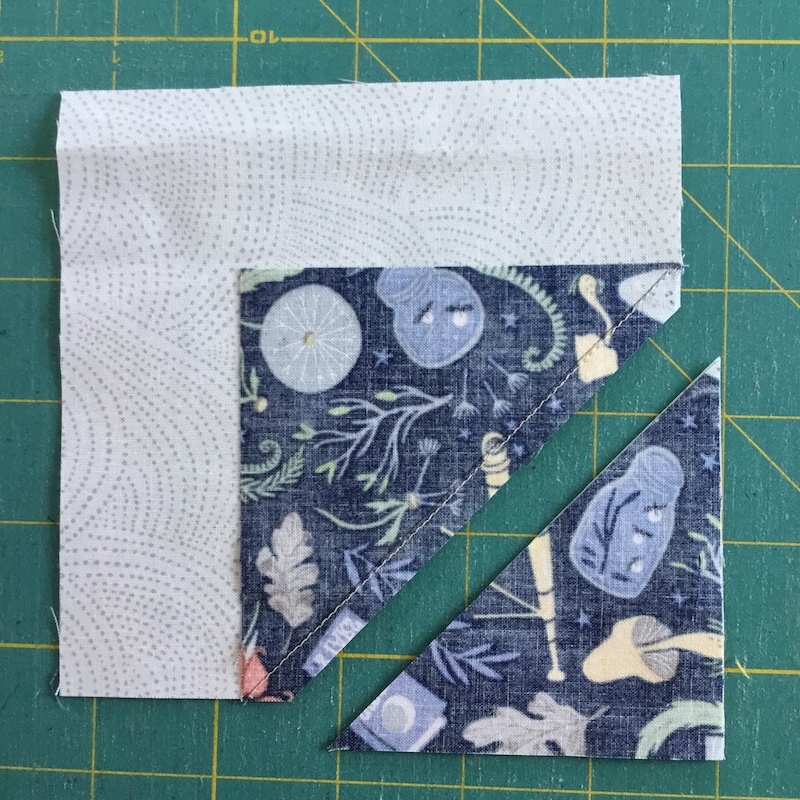 But before you head over there, I’ve got a bonus tutorial right here for a quilt block that I made from the same label panel. 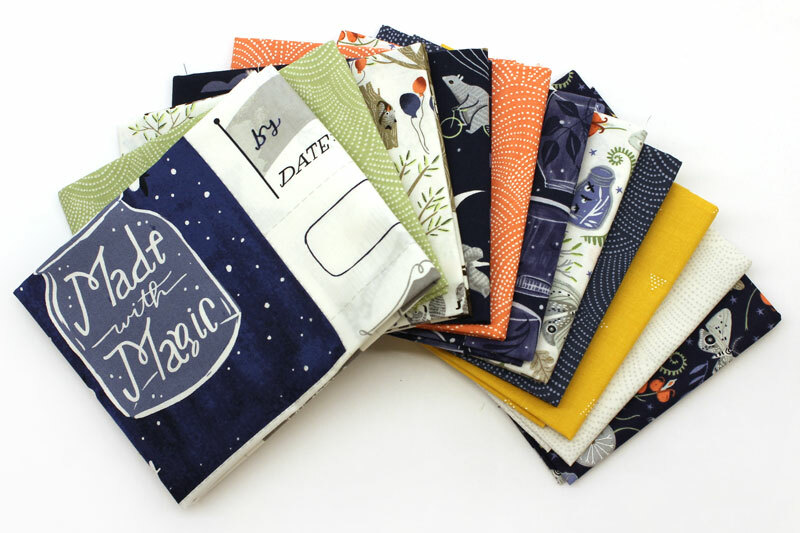 The fabric collection is called “Love You To The Moon” by Rae Ritchie, and it’s really cute. I had a hard time choosing which pieces I wanted to make my labels from! So below are the instructions for making this block. And be sure and read all the way to the bottom, because there’s a give-away going on here, too! Line up a 3 1/2″ square on top of a background square, right sides together, with the drawn line running as shown. Stitch on the drawn line. Then trim the excess 1/4″ away from the seam, and press the triangle out. Then sew the rows together to complete the block. The block, as sewn, will finish at 13 1/2″, but you can trim it down to be a bit smaller, if you wish, or add a frame to make it larger. And that’s it — easy, right? Dear Stella and I are teaming up to offer a prize to one lucky reader. Here’s what you’ll get — two bundles of “Love You To The Moon” fat quarters, including the label panel — one for you and one for a friend! All you have to do is leave a comment on this post to be entered for a chance to win, and I’ll draw for a winner on December 6th. For more chances to win, visit my guest post over at Dear Stella, and you can put your name in the pot over there for their give-away! I hope you get your hands on some “Love You To The Moon” and have fun making some cute little labels and fun quilt blocks! Thanks for visiting! UPDATE: The give-away winner is BJ! Congratulations, BJ — and thanks to everyone else who played along — thanks for visiting! Love the tutorial and block! 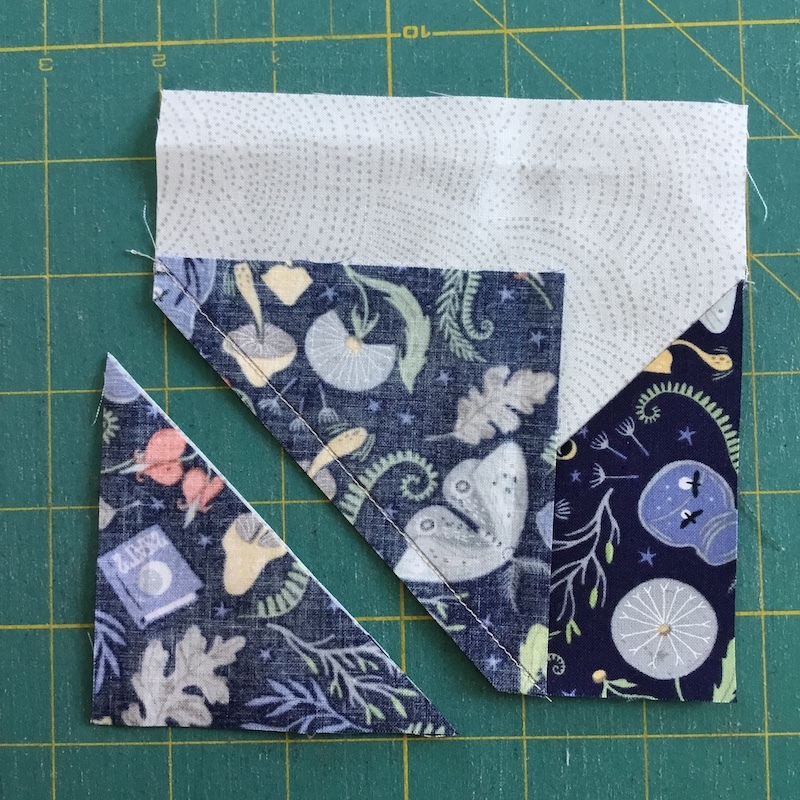 Your block really shows off the fabric! 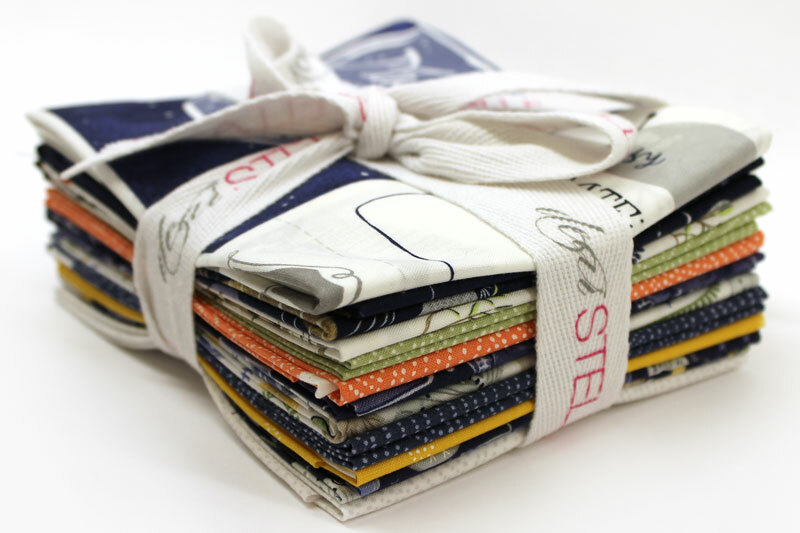 I love Dear Stella fabric and this bundle is so cute! Love the star block, Shelly. I have found a ruler to use so I don’t have to draw the diagonal line when making the points. It speeds up the process, just a bit, and that’s always a win, right?! LOVE the labels! I am inspired to be more creative with my quilt labeling. Rae Ritchie is one of my favorite fabric designers. I love her prints. Thanks for the block instructions and the chance in the giveaway. 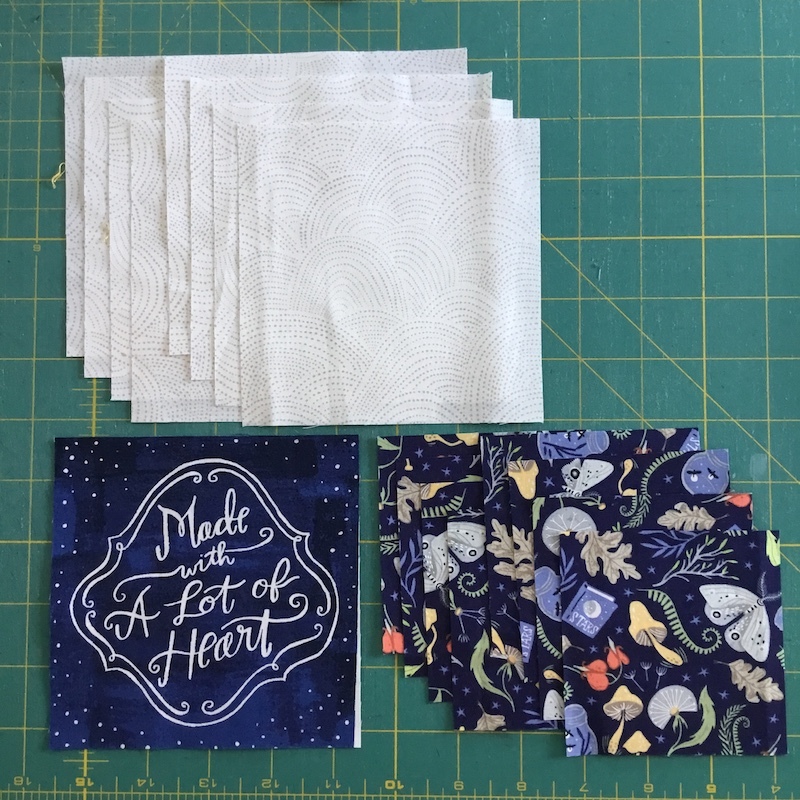 I love this Love You to the Moon fat quarter bundle! Oooohhhh! ! Labels are so important. Would love to win! I love this bundle. I wouldn’t feel bad if I won again! Great tutorial with great fabric. Love it! Love the little butterflies! Very cute! I’m always looking for labels. 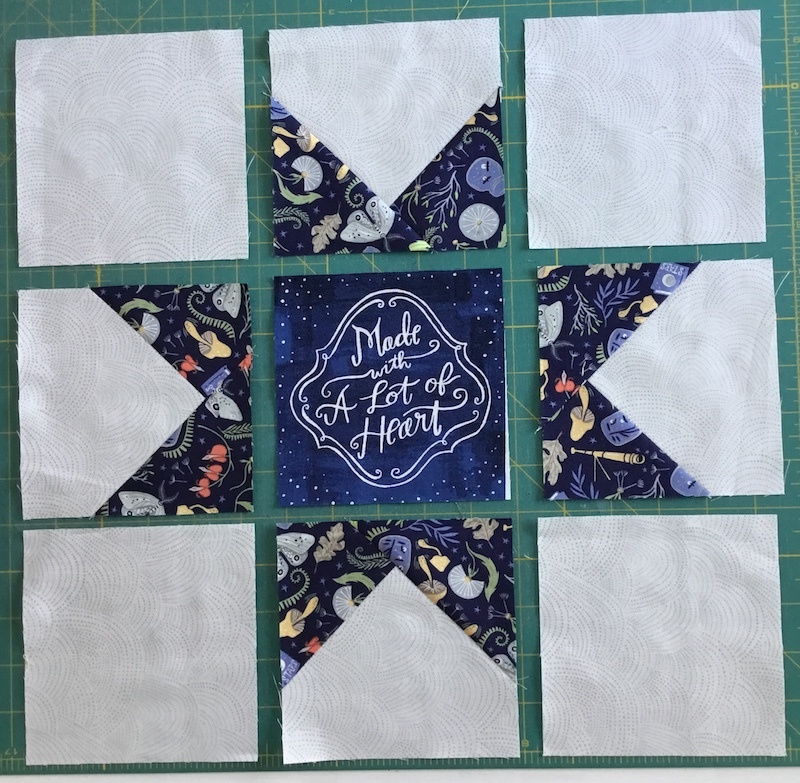 I love how you fussy-cut a pre-printed block as the center of your star block! Wonderful, pretty application. Thank you for the inspiration and your tutorial. It doesn’t hurt to have such CUTE fabric to work with either! I love this fabric. I have two little girs that are my sister in law’s grandaughters that would love to have a block made of this fabric. OHMIgoodness………..I love this fabric and want to win this. And the labels fat quarter is great. I may have to order this if I don’t win it!!! Neat quilt block & label. I like that you can have big floating points if you leave it at 13 1/2″, but there’s plenty of room if you want to trim it. Love the size for showing off that beautiful fabric. Thanks! Wow! These are super cute! I have no imagination, so thank you for giving me all these ideas and ways to make awesome labels! And thank you for doing the giveaway…. One of us, well TWO people since it’s two gifts, is going to be super happy!! I always say that to my husband so i might need to make him a pillow with the block. So fun so thanks. Ooh, I love those colors! I have a friend who would love them too! Very cute fabric. 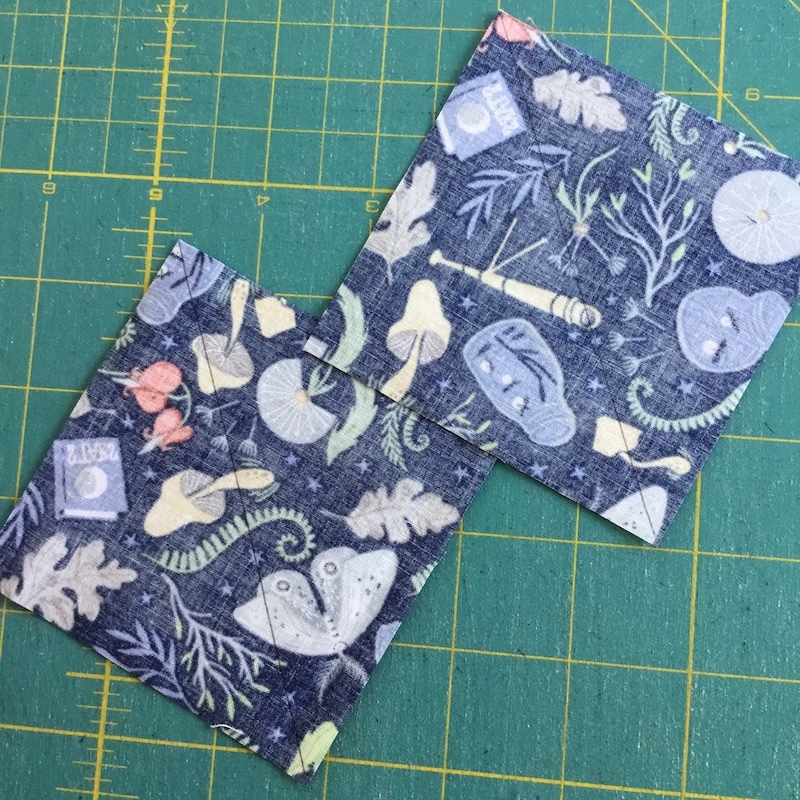 I enjoy fussy cutting, it makes my quilt a one of a kind with extra special pizzazz! Well I love you both to Mars and back. I love Dear Stella designed fabric…. I love free things. I have a book called “Good Night Moon”. That fabric needs to come to a good home. 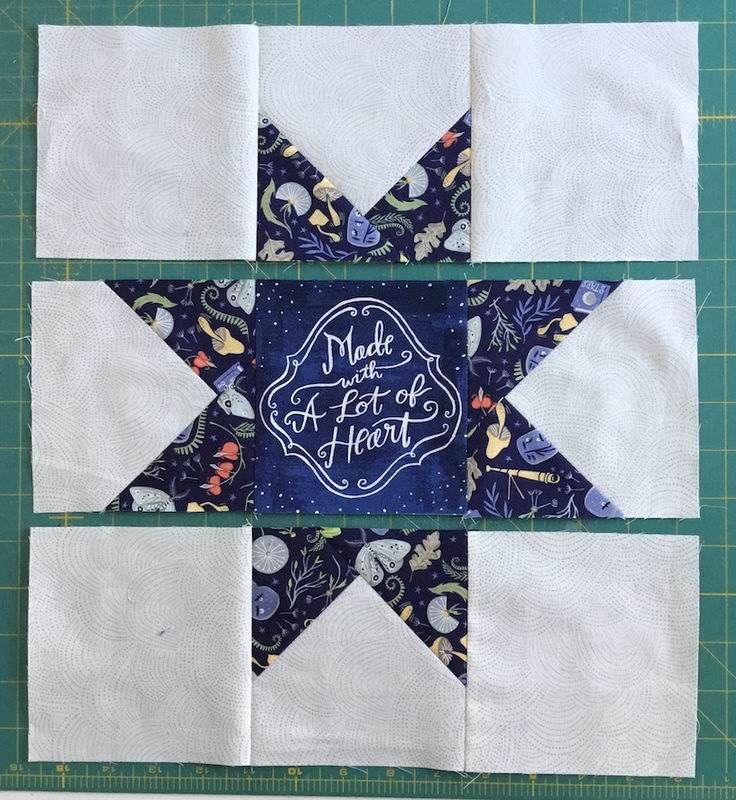 Love the star block–what a great way to showcase a fussy cut square! Thanks for sharing! Cute block! I sometimes make an extra block as a label and use it as part of the backing, so my label becomes part of the quilt. I love the little jars with the lightning bugs in them! Sew Cute!!! Really cute way to label your quilts! I love this fabric line! Awesome. The label panel is so great! Love the label idea!!!! My friend, and quilting buddy would love it too!!! Hint, hint!!!!! 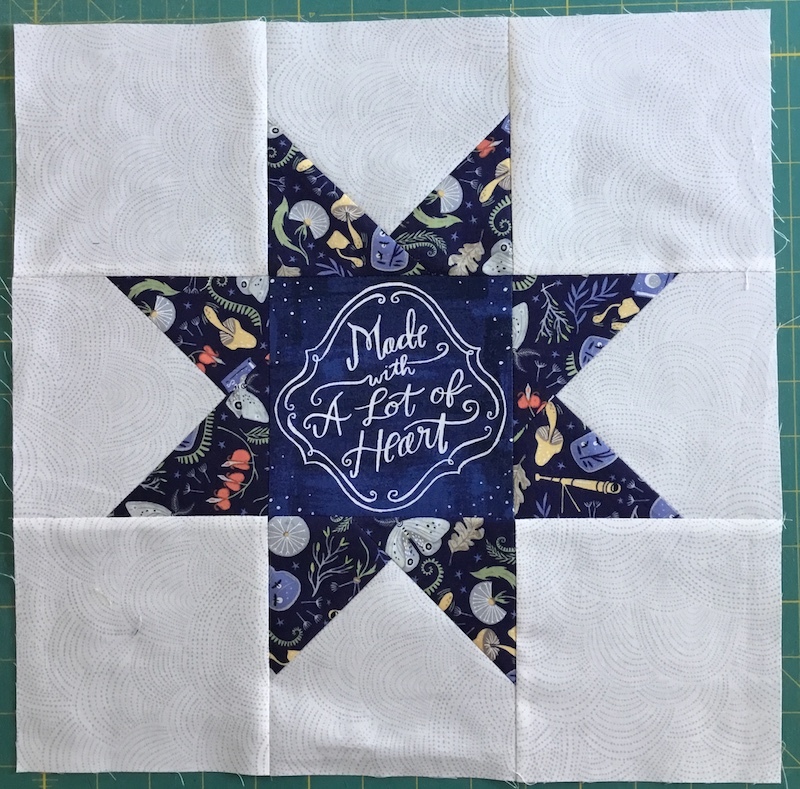 Love your star block and your quilt label ideas. Beautiful fabric. Winning would make me very, very happy and my quilting buddy would love to share. Shelly, thanks for the great pattern! And that fabric is darling! Absolutely love the fabric in this block, it pops! Thank you so much!! 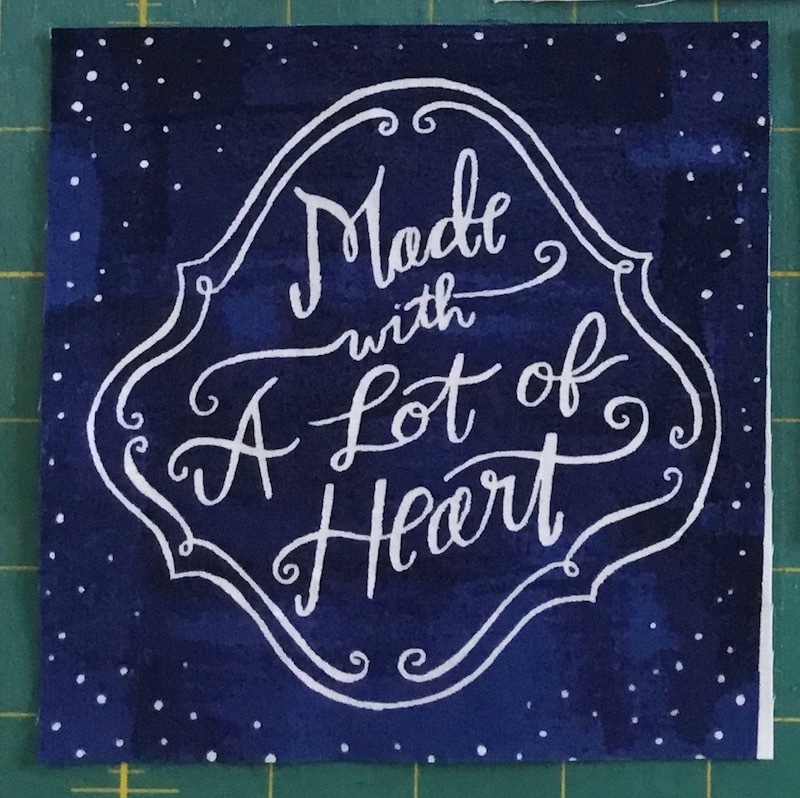 I’m Over the Moon with your creative ideas on the cute quilt labels! 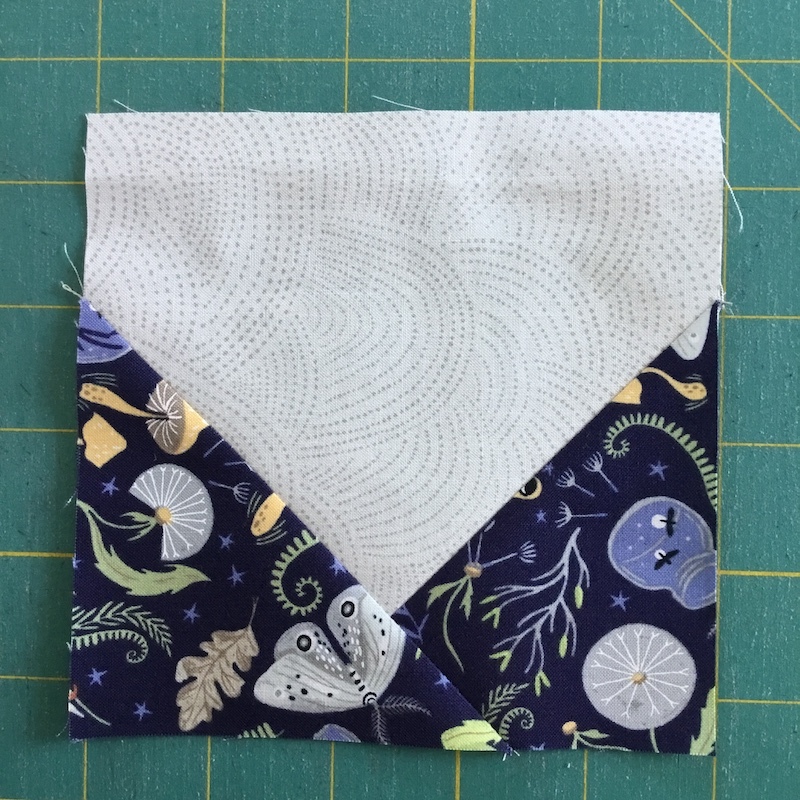 Love the sweet quilt square in this blog! Thank you for creating the tutorials and contest offer! My finger’s are crossed🤞for a lucky win! That is so cute. I never thought of making blocks out of the fun sayings we often find preprinted on labels! Great idea! Love this block idea! Definitely will try very soon! Also love love love this fabric! Would be delighted to win! Such a great block! Will be making one for my birthday (11/28!) and as of yesterday, my daughter’s birthday! So excited for this fabric! You always have such great ideas. Love the labels. Some quilts have a whole big long story behind them and they all start with being made from the heart! Love your label block. I am always at a loss for labels on the back of quilts. These are perfect! This is a great way to frame a special label. I like it!